Please fill out the form with information regarding your September 15th session. Thanks a tonne for your participation and contribution. As long as I have a notepad, I can create scripts, HTMLs, jQueries and magical flip/ bling CSS effects on any page. Mostly on Office 365 SharePoint Online pages hehe! But, this is not about the wonders of all that you can do with Notepad. Top of the list is LayoutIT: http://www.layoutit.com/ this is a bootstrap front end code builder. You can spin up a responsive grid system page with rows and columns effortlessly. All you have to do is drag and drop your number of containers/rows and how many columns you want in it? 6/6 or 4/4/4 or one row? Its all visual and it can’t get any easier than that. Once you are satisfied with your mockup skeletal design, you can download the code and customize it to your sites/client requirements. Note: Make sure to include your cdn in the file you downloaded (duh!) Even better, get the latest minified(or not) bootstrap libraries into your Site Assets/ Scripts reference them instead. What you see below is the “Result” of the rendered bootstrap script I quickly drafted from LayoutIT above. So far so good and pretty cool eh? You want to learn angular/ bootstrap/ jQuery. Want to curiously browse other folks attempts at learning the same and get inspired by their solutions? Want to share your solutions with the community? Want to style your code? Want to check the syntax? Get the references to latest CDNs and include them automagically? You get the idea…. get to Plnkr! If you have a GitHub account, you can use it to join login with the same on Plnkr as well. Its all awesome. Save your plunks and show off your work! With these tools under your belt, you can tackle some of the day to day design challenges if your environment doesn’t have development tools yet and you still wish to be productive and contribute to the team, progressing towards your assigned task completion – these can come in very handy. So here ya go: My last post talked about getting SharePoint Site Usage reports in Office 365 SharePoint Online page and how you can get a cool looking dashboard with Excel Web Access web part. Get the URLs for links you wish to display in your SharePoint Online site page., it could be your Most Popular Library items from the library ribbon icon, your top documents/ contributors. Your web site/blog address etc., and then include that in your script’s anchor tag with button style. I used a library called font-awesome to derive icons from there for using in my images. They have a wide collection of icons CSS styles to choose from and I like to use them in all my projects. Below is the script with all external reference links to fontawesome as well as bootstrap cdns for responsiveness. Here is the video/script on display at dabblet in its full swing! 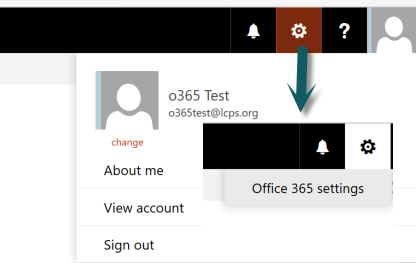 This is just a kick starter for all the possible things you can do with designing and making your Office 365 site functional until you get your tools deployed and available to use. These are some of my go to options. Please feel free to comment/share other tools you use that makes your lives easier to provide efficient solutions that meets clients needs and satifies their requirements and we can learn together. With that wise thought of the day, signing off from www, is Swetha! Have a beautiful Thursday folks, may it bring you all sorts of happiness and productive solutions your way. When a requestor submits a form, it should be preloaded with FiscalYear value in option control with other values/years to choose from. If its between July 1 – June 30 its the next fiscal year. Control used here is a drop down control with preset options (2017,2018,2019) that requestors can choose from on submit. If the current month is greater than July then, set the control selected value as next year. Script below is self explanatory and this function is called on form load. ID of the dropdown control is stored as ‘varFY’ and we use it to set the value of the field by using control.val(value to set). A solution showcase session. ‘What you see is what you get’ in this business cards app for Office 365 SharePoint Online using Nintex forms and workflow apps for Office 365. Your customer has a business need where they want to preview their cards order as it would appear in print before they submit their request. They want to preload user information when they log in to the system. When they submit their request, the manager who handles the processing should get ALL details of user submitting request with a means to view the requests in site.Anyone in the organization can submit request for cards and the manager should have access to everything in the system. In this session, attendees will learn how to create apps in Office 365 SharePoint online with preview panel of their data containing logged in user profile information as well as customize/ brand their forms. Swetha Sankaran is an Office 365 SharePoint online expert working with SharePoint and Microsoft BI stack since 2008. Currently focusing on Office 365 user adoption, apps, forms and workflows processes to automate several business processes from manual/ paper based forms. There are times when you want to empower your end users and enable them to do it all and there are times, when want to simplify work for your end-users and unclutter their views. Every site owner goes through this at some point. Every site owner also bings(or google or yahoo or it at some point and I did too. While there are umpteen number of ways to accomplish this via script/css or xslt update. My favorite option by far is changing the PermissionsStrings for items based on user roles. Oslo template: Change the PermissionString below for site contents from ViewFormPages to ManageWeb. Today I took an exam and added Nintex Workflow Professional Certificate to my list of official certifications. Target audience for the certification are experienced forms and workflow creators. Questions covered designing, creating and debuggins Nintex workflows and forms concepts. #Excited to have taken the test as it was the high point of my day! Nintex tells me I am skilled at creating Workflows and Forms! WOOT!! First things first, we need to be SharePoint Online Administrators to be able to manage the site collections in our Office 365 tenant using both SharePoint Online Admin Center as well as SharePoint Online Management Shell. 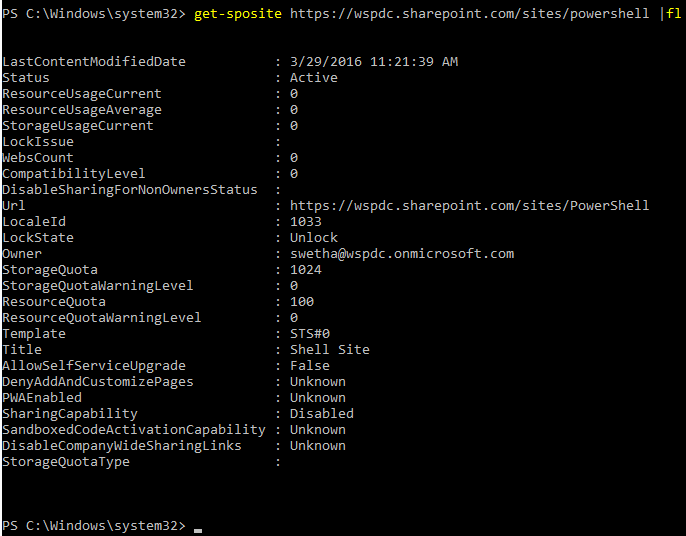 This creates a new team site collection with title “Shell Site” with all the default settings in it.